There sure are a lot of SUVs on the roads these days and even for the experts, it can be hard to tell them all apart. That's why Southern California Ford Dealers are so excited about the 2019 Ford Flex. This SUV is packed with personality and the unique looks America has been yearning for. Available in three trim levels, eight exterior colors, front and all-wheel drive, and seating for up to seven, the 2019 Ford Flex is worth a closer look for drivers – and passengers – in and around Southern California. 3.5-liter Ti-VCT V6 engine and an available 3.5-liter EcoBoost V6 twin-turbocharged direct injection engine that produces an impressive 365 horsepower at 5,500 rpm and 350 lb.-ft. of torque at 3,500 rpm. When you combine this last engine with the 6-Speed SelectShift automatic transmission and the optional intelligent All-Wheel Drive you can get an EPA-est. up to 15-mpg city and 21-mpg highway in fuel economy. * As with all the Ford SUVs available from Southern California Ford Dealers, the Ford Flex offers a great ride thanks to the front independent suspension with MacPherson struts and rear-facing lower L-arms as well as the multi-link, fully independent rear suspension with fully isolated rear subframe. You also appreciate the electric power-assisted steering and AdvanceTrac with RSC. The Ford Flex is also easy to keep protected when you aren't driving thanks to the SecuriLock passive anti-theft system and SecuriCode Keyless Entry Keypad. the comfort to the next level, drivers can add features such as the one-touch PowerFold third-row seat, heated/cooled front seats, second-row bucket seats with Pass-Through, and charcoal black leather-trimmed seats with perforated inserts. 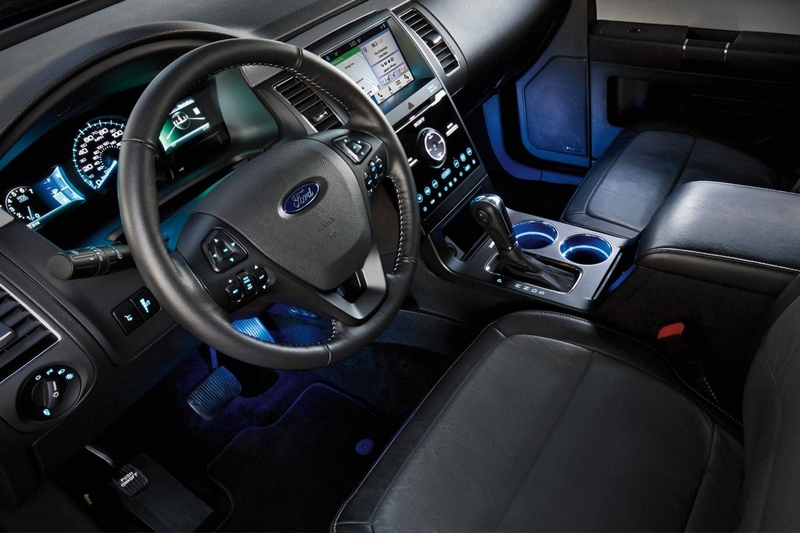 Finally, we need to look at the amazing suite of high-tech features and tools available in the 2019 Ford Flex. The ergonomic instruments and controls put tons of information and entertainment options right at your fingertips, including an Audio System from Sony with 12 speakers, Navigation System with SiriusXM Traffic and Travel Link, HD Radio Technology, and the easy-to-use SYNC3 system with responsive voice-activated technology and Apple CarPlay and Android Auto compatibility. 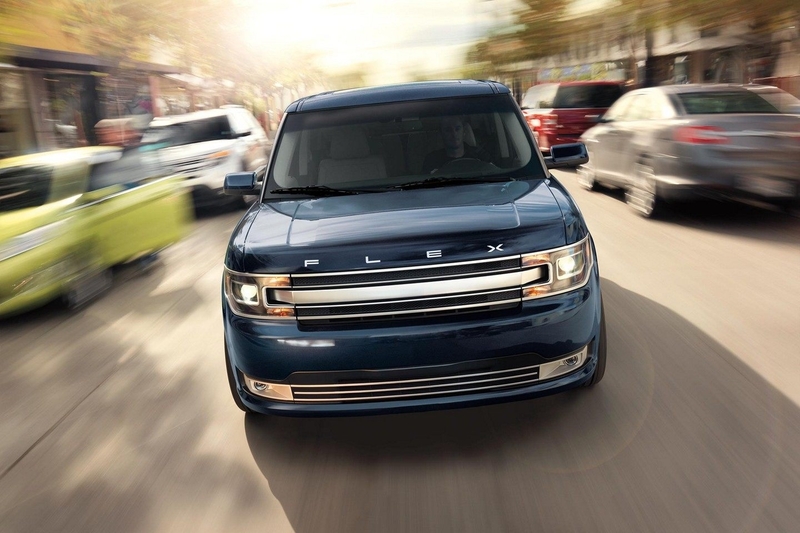 In the end, getting behind the wheel of this SUV is the only way to truly experience the 2019 Ford Flex. If you live anywhere in SoCal, our website can help you find your local Ford dealer. When you visit and take a test-drive, don't forget to ask about the latest deals and specials on all our SUVs.